There are devices that can be put into cars to prevent this sort of tragedy. Heat alarm systems automatically lower windows, turn on a fan, and sets off a horn. Some systems can even send a message to cell phone. It appears that the department had two such alarm systems, which were never opened. It is unclear why the department failed to utilize a lifesaving measure at their disposal. In Texas, animals may not have legal rights, but there are laws in place to protect domesticated animals. Texas Penal Code Section 42.092, Cruelty to Nonlivestock Animals, states that a person who recklessly confines an animal in a cruel manner or recklessly kills an animal can be convicted of a Class A Misdemeanor. Cruel manner is defined as an action that “causes or permits unjustified or unwarranted pain or suffering.” Punishment for a Class A Misdemeanor is a fine of up to $4,000 and/or imprisonment for one year. 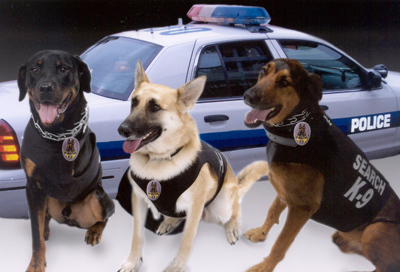 Under the terms of Texas law, Benoy acted in a reckless and unreasonable manner when he left his two K-9 partners locked in a car for more than 24 hours. These two dogs were completely dependent on Benoy for their well-being and he failed them. They needlessly suffered at the hands of the man who was supposed to be their caretaker. The dogs were subjected to unjustifiable pain. Contact the Law Office of Dayna L. Jones if you are facing any kind of criminal charges or are under investigation at (210) 255-8525 to schedule an appointment with the attorney. Calls are answered 24 hours a day, 7 days per week.